Happy Friday!! I hope you all had a good week! 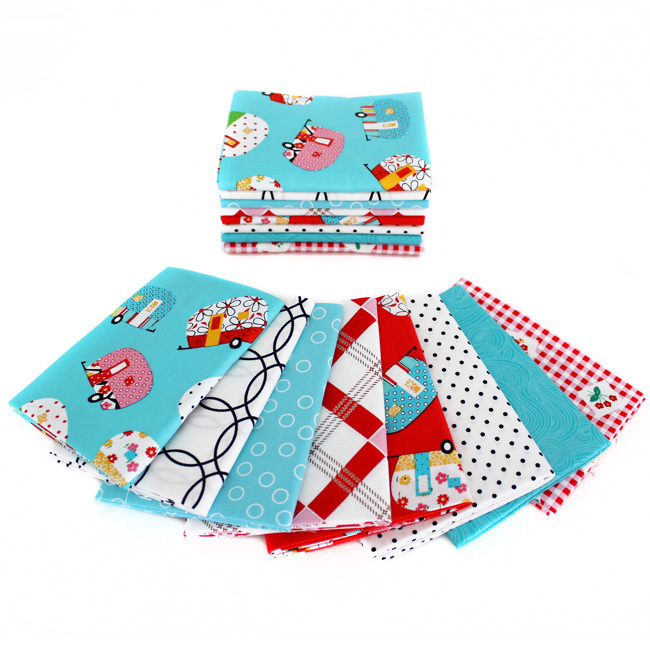 We have a really fun bundle of fabric to share with you today! Be sure to scroll down to see what I made with this week's bundle! This week's bundle features the cute Quilt Camp prints from Henry Glass along with our choices of the perfect coordinates! This bundle of fabric just makes me smile! I love those glamper prints! They are too adorable! I thought it would be fun to make some picnic placemats out of this week's bundle! I kept them pretty simple because I wanted to show off those cute little glampers! :) These would be just perfect to keep in your picnic basket or in your trailer when you are camping! I made each one different and I love them all! They were so easy and quick to put together - I can't wait to make some more! 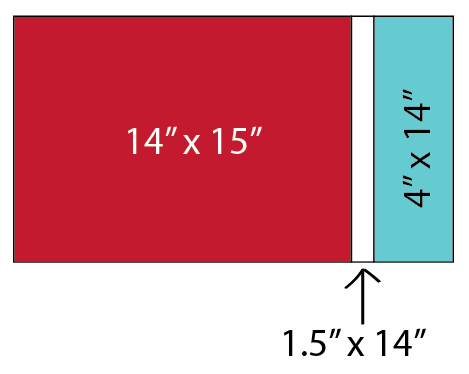 Sew together your 14" x 15" and 1.5" x 14" strip together. Press. 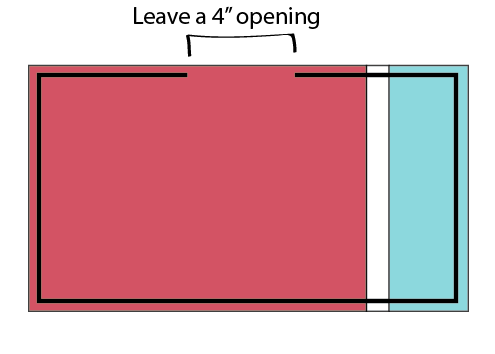 Sew the 4" x 14" strip on to the right side of your 1.5" strip. Press. Layer your pieces together. 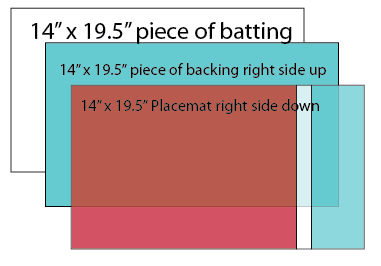 Start with batting then lay your backing right side up on top of your batting. 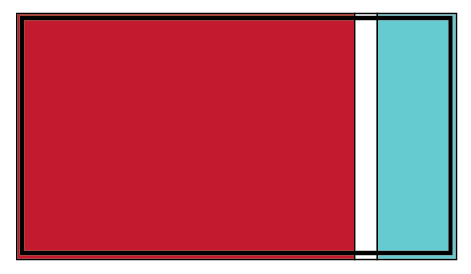 Then lay your placemat right side down on top of your backing. Make sure everything is lined up and pin all the layers in place. Sew 3/8" all the way around except for a 4" opening on the top side. Turn right side out and push out your corners. Iron your opening closed. Sew around your placemat about an 1/8" from the outside edge. That's it! How simple and easy huh?! The glampers are darling! What a fun project! Thanks for hosting! Love these! Thinking of making a couple specially themed ones for my grandkids to use when they visit. Star Wars for my grandson age 10, and dolls or girly themed for my granddaughter, age 5.